The Mountaineers Books is home to a world-class staff that publishes your favorite guidebooks, narratives, photo books, and more! Meet our staff below and view our employment opportunities to join the team. Helen manages and provides support to all areas of the company, working to achieve a balance between serving Mountaineers Books' inspiring mission and keeping the business running in a sustainable manner. Integrating our work with The Mountaineers' educational and programming goals and supporting the overall goals of The Mountaineers is core to our enterprise. Mostly, Helen attends a lot of meetings. Background: BA in Journalism, with a major in Fine Arts. Previous professional experience includes graphic design and advertising production, and being sole proprietor of a graphic design and printing management company. Helen's passion is in the nonprofit sector. She believes that supporting the health and well being of society and future generations is paramount. Outdoor Activities: Hiking, canoeing, photography, gardening. 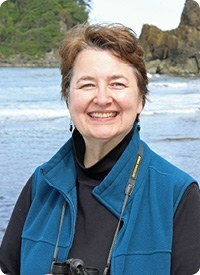 More: Helen also serves as executive director of Braided River, the conservation imprint of Mountaineers Books. Braided River partners with well-known conservation organizations to create awareness around environmental issues through the emotive power of books, and the media outreach, public events, traveling museum exhibits, and support for photographers' fieldwork that flow from those published works. Through images and stories that showcase the beauty and awe of the natural world, Braided River works to preserve endangered places and wildlife. As the Director of Sales, Darryl manages all aspects of Mountaineers Books sales and fulfillment, making sure customers get the service they deserve. He also manages Mountaineers Books foreign rights. Background: Born and raised in the Midwest, Darryl now calls Washington home, as the state is the ideal destination for his outdoor pursuits, and Mountaineers Books is the perfect organization for him to embrace his passion for the outdoors, his love of books, and his dedication to conservation of our wild spaces. Outdoor Activities: Backpacking, mountain biking, snowboarding, sea kayaking, and fly-fishing. Julie seeks to raise awareness for Mountaineers Books’ breadth and depth of amazing titles through publicity, marketing promotions, and author events. Background: A dedicated marketeer, Julie has more than 15 years of professional experience in marketing, public relations and business development in the fields of high tech, architecture and performing arts. 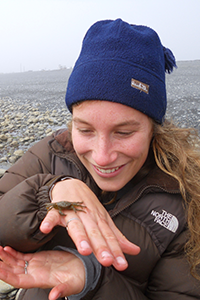 She studied urban ecological design and landscape architecture at the University of Washington and holds a BA in political science and communications from The University of New Hampshire. Outdoor Activities: A lover of nature and the outdoors, Julie is an avid mountain biker, skate skier and fly fisherwoman. She also enjoys backpacking, rock-climbing, and exploring in the West. Other: From the Seacoast area of New Hampshire and with professional time spent in Boston, Julie has lived in a remarkably broad swath of the United States and has visited many of its national parks and natural wonders. Because of Seattle’s terrific access to both mountains and ocean, she has found the Emerald City to be the ideal home. She enjoys sharing the specialness of the outdoors with her teenage son and husband. Doug’s job is to make sure that those who love getting outside are aware of books that will enhance their passion—whether that’s finding where to go, learning a new skill, or enjoying a thrilling adventure read. In addition to leading the publicity and marketing team, Doug is tasked with following the digital directions that content is moving in and envisioning new ways for outdoor enthusiasts to experience Mountaineers Books’ content. Background: Doug is currently enjoying his million-th year in publishing – first half in magazines and second half in books. He has taken The Mountaineers Basic Alpine Climbing, Backcountry Ski & Snowboard, Avalanche Awareness, and Wilderness Navigation courses. Outdoor Activities: Cycling, splitboarding, surfing, and anything to do with dogs. Web manages the online "stuff" for Mountaineers Books, from the homepage, social media, newsletters, to most other things related to the Web. Yes, Web weaves a web of content on the Web. No, he's never heard of your pun-based jokes on his name before. Background: Before coming to Mountaineers Books, Web spent many years at Motorola as one of their Site Editors, working on their consumer sites for digital marketing campaigns. 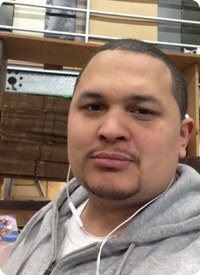 He is also a freelance writer and editor, and began his career in publications and magazines. He has a B.A. in English, Creative Writing from the University of Western Washington, a Grant Writing certificate, and is currently studying computer programming. Outdoor Activities: Hiking, biking, scrambling, foraging plants, camping, wondering whether foraged plants are poisonous, urban farming, being paranoid that the minor discomfort he is imagining are the first symptoms of a deadly plant poison. Alison manages order entry, solves problems for customers, and makes sure the customer experience with Mountaineers Books is the best it can be. Background: Alison grew up in Seattle’s University District. 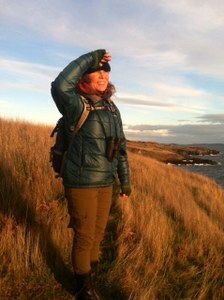 Her passion for wildlife and the natural world was inspired by many childhood summers spent camping and tidepooling on Washington’s Olympic Peninsula. She has a B.S. in Natural Science from the University of Puget Sound. Her desire to work in the nonprofit sector has taken her from conducting salmon research in Alaska to working for Hawaii’s public television station. 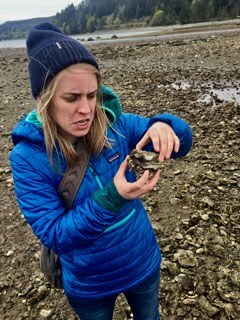 Alison is thrilled to be back in the PNW working for an organization whose mission aligns with her passion for the outdoors. Outdoor Activities: Hiking, camping, backpacking, skiing, running, swimming, and spotting wildlife. As Sales Representative, Katie helps get Mountaineers Books into your hands. Background: Katie previously worked as a bookseller and assistant manager at a Seattle independent bookstore. She loves promoting books that inspire and educate readers about how to explore and protect our natural world. 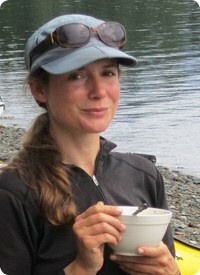 Outdoor Activities: Katie enjoys backpacking, snowshoeing, cycling, canoeing, swimming, and birding. More: Born in Minnesota, Katie grew up exploring the woods and lakes of the upper Midwest. 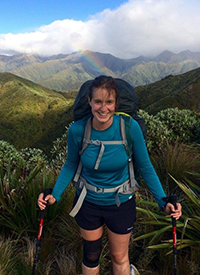 A few years ago, she backpacked the length of New Zealand on the Te Araroa trail, where she found herself in many beautiful (and muddy) places and met many sheep. She earned a B.A. in Politics from Whitman College. Nathan manages our Distribution Center, where he is responsible for keeping books moving smoothly both into and out of our warehouse. 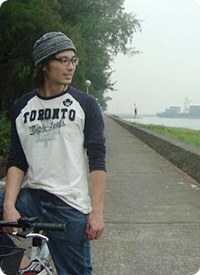 Background: Nathan came to the Mountaineers Books with five years experience in warehousing and forklift operation. Nathan has made many positive changes for Mountaineers Books, and hopes to continue helping the company in future endeavors. Outdoor Activities: Biking, swimming, river tubing, hiking, camping, motorcycle riding, golfing. 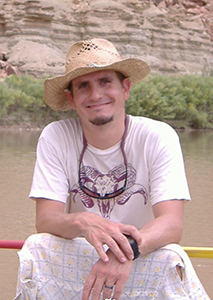 More: Nathan was born in Seattle and grew up in the Colorado Rockies and Arizona. He learned how to ski, ice skate, and snowboard in Colorado, and had many great hiking adventures in the Colorado Rockies and the Arizona desert. "I really loved growing up in two such extreme climates. I have always loved being surrounded by nature, and living in these two places gave me a sense of purpose. I always felt I wanted to do more for our natural world, more than just cleaning up people's trash in the wild, but never knew how until I found The Mountaineers. I have learned so much from the organization, and I feel that in just doing my job, I am contributing to a greater cause that will lead to a brighter, cleaner future. I have been with the Mountaineers for over two decades and I still really love what I do." Jen judges books by their cover. She works on many of the cover and interior designs for Mountaineers Books, and also works closely with freelancers and printers to achieve the end result of a beautifully designed and printed book. Background: After graduating with a degree in Graphic Design, Jen tried the agency life for a while and found it lacking. While living in Boise, she made the jump to publication design, and realized it was the perfect fit. After living almost everywhere else in the West, Jen finally found her way to Seattle where her love for gray skies, adventure, coffee, beer, design, and books can thrive. 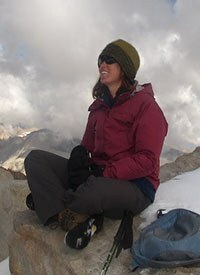 Outdoor Activities: Jen has always enjoyed being outdoors, and grew up camping, skiing, and hiking. 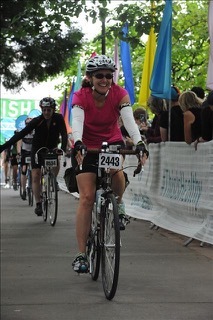 In the last few years she has discovered that bikes are life, and takes every opportunity to get out for a ride, even if it means braving Seattle traffic daily to ride to work. 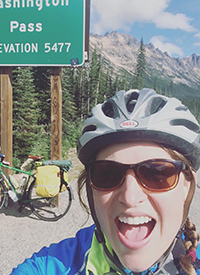 Bike touring & camping are her favorite ways to see new places. She also loves nothing more than traveling to a new country, and spending her days there wandering and eating. Gayle facilitates best accounting practices for both Mountaineers Books and Braided River. She oversees payables and receivables, manages author royalties, human resources and supports payroll. 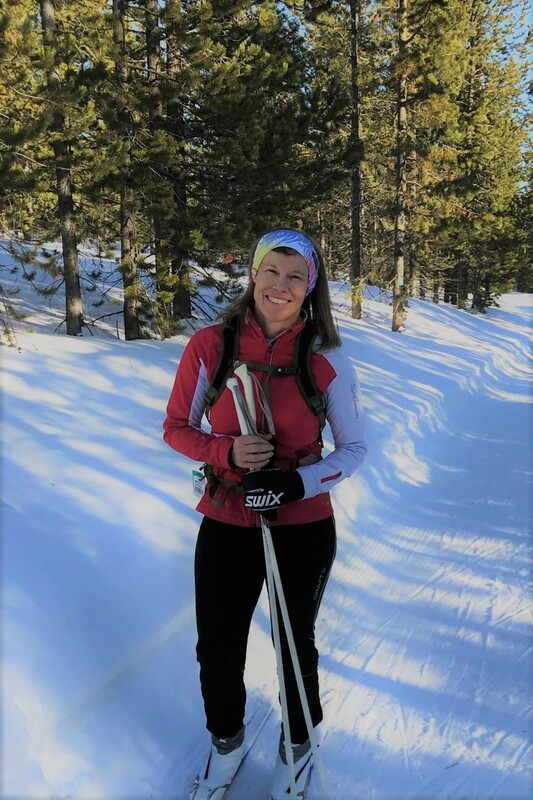 Background: Gayle came to Mountaineers Books in 2002 with several years of accounting experience in the outdoor industry and a BA from The Evergreen State College. Working at Mountaineers Books allows her to combine her lifelong love of the natural world and her desire to contribute to an organization that is a catalyst for environmental education, conservation and exploration. Outdoor Activities: Backpacking, day hiking, bike commuting, running, foraging, traveling, birding, naturalist studies, sea kayaking, and appreciating the flora and fauna along the way. 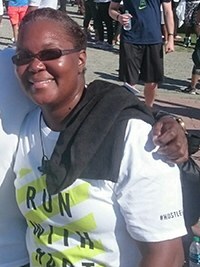 Other: Gayle is a Northwest native and grew up in Seattle. Moss is in her blood. Her next big life goals are to do more long distance hikes and bike tours, and to spot a wolverine in the wild. Background: Jordan hails from Tulsa, Oklahoma with a degree in Geography from Oklahoma State University. She took time after college to travel (mainly in New Zealand) and realized how much she enjoyed living close to the mountains and oceans. She moved to Seattle, having never visited before, and never left. The great people, good beer and incredible scenery will keep her here for many moons to come. Outdoor Activities: Any activity that is outside. 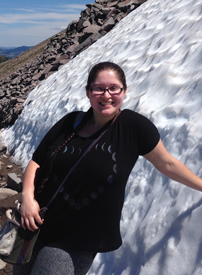 Jordan enjoys camping, backpacking, snowshoeing, hiking, climbing, cross-country skiing, walking her dog, or just reading a good book in her hammock (or a somewhat quiet bar/coffee shop during the winter months). Tom manages finance and operations at Mountaineers Books. Background: Tom has held a range of positions at university presses and think-tank publishing over the past twenty years. In addition to his work in finance, he has been a CFO, an editorial assistant, a production manager, a designer, and the proprietor of a pre-press services company; this range of experience has resulted in a broad view of the business of publishing. 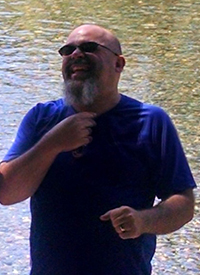 He holds an MFA in Fiction Writing from the University of Alaska and an MBA in Corporate Finance and Strategy from the Stern School of Business at NYU. 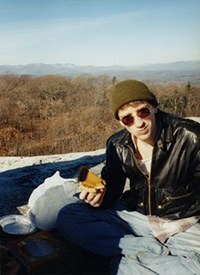 Outdoor Activities: Tom has always embraced the activities of his region. Growing up in New England, he was a sailor; in Alaska, he worked as a guide in the Brooks Range; in New York, he was a Road Runner. Currently, the most prominent features in his immediate environment are two toddlers. His next great adventure is teaching them to survive an arduous night of backyard camping in the wilds of Maple Leaf. Joined Staff: 1997 to 2002, marketing; 2007 to 2008, project editing; 2016 joined full time again in her current role. Janet originally joined the staff at Mountaineers Books in 1997, rejoined in 2007, and, as the living embodiment of recycling, happily returned again in 2016. In her role as managing editor, she oversees the editorial process from manuscript to bound books. Background: With a BA in journalism, Janet has worked in all corners of publishing for houses both large and small, including Little, Brown, Harvard Business School Press, and Graphic Arts Center Publishing. She worked in international sales, production, publicity, sales, and marketing before returning to her first love, editorial. In between stints at Mountaineers, she worked as a freelance editor, focusing on developmental, line, and project editing. 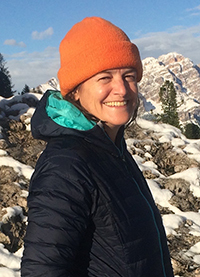 Outdoor Activities: A fourth-generation Oregonian and lover of the Puget Sound region, Janet loves to get outside anywhere in the Pacific Northwest for hiking, camping, skiing, cycling, paddleboarding, and huckleberry picking. Other: Janet also enjoys volunteering at a therapeutic riding center, traveling with her family (leaning toward any place with cobblestones and good gelato), gardening, and, of course, reading. Marissa gets the word out about new guidebooks for Mountaineers Books, whether that means contacting press, scheduling events, or breaking out the good ol’ megaphone and soapbox combo. If it’s a where-to or a how-to, she has a press release for that. She works closely with authors and media to get new titles in front of readers who are looking for their next great adventure. Background: Marissa grew up in Oregon and was introduced to the northernmost state in the Pacific Northwest while attending college at the University of Puget Sound, where she picked up a degree in English Literature. After working in publicity in the Midwest, she returned to her one true love: the beautiful, overcast, and blissfully temperate Seattle. Outdoor Activities: Marissa loves hiking, camping, backpacking, swimming, and general exploring, especially with a canine companion at her side. Coming over from the Program's Center, Frank is down at the warehouse helping to find and deliver your books. 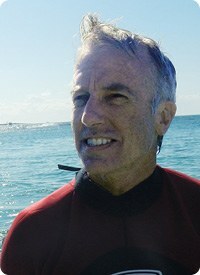 Background: Born and raised in rural Montana, Frank enjoyed riding horses, hiking, and camping. 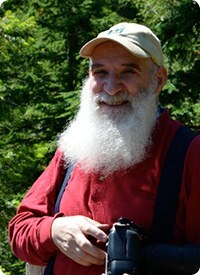 He joined The Mountaineers in 1995 when he married Anne Smart, former chair of the Seattle Branch Photography Committee. Outdoor Activities: Photography, camping, hiking. As Senior Editor, Mary oversees the editing and production of many of the books that Mountaineers Books publishes each season, meaning she works with authors, freelancers, and staff to transform sometimes rough manuscripts into beautiful and useful books (or, on occasion, card decks). She also acquires and develops titles for the "Legends and Lore" series. 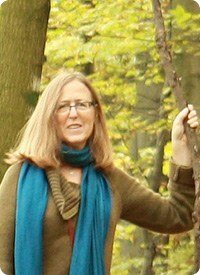 Background: Much of Mary's time at Mountaineers Books has been as Rights Manager, which entails licensing foreign language editions of our books (including the many foreign-language editions of (Mountaineering: The Freedom of the Hills) to publishers overseas, as well as acquiring North American publishing rights to books that originated elsewhere (such as titles by Joe Simpson, Reinhold Messner, Ueli Steck). Outdoor Activities: Mary is a dabbler, easily swayed to consider almost every activity for which The Mountaineers publishes a book. She has enjoyed snowshoeing, some easy paddling, and hikes with minimal elevation gain. She spent a few hours on a stand-up paddleboard, which she adored, and yet she has not been out again. Her more long-term relationships involve her bicycle, which she uses to commute around town, and her garden, which this year led to homegrown tomatoes hanging from the attic rafters to ripen in December. Wherever she is, and however she got there, she's likely to be carrying a pair of binoculars and a camera, looking for birds. Sharief is a steady influence in Mountaineers Books distribution effort, making sure that orders move swiftly out of our distribution center. Outdoor Activities: Sharief loves to take his son out on walks on small trails whenever he gets the opportunity to do so. He says he's also a huge outdoor sports guy, so if it can be done outside, chances are Sharief will be out there trying it. Kate acquires and develops all the books that we publish and oversees all of our editorial and production processes. Background: Kate's publishing career has spanned more than twenty years, including positions at Waldenbooks, Bantam Doubleday Dell, and Sasquatch Books, and as founder–principle of her own book packaging firm, Unleashed Book Development. A graduate of the Denver Publishing Institute, she also has been a part-time lecturer on editing, publishing, and general media at the University of Washington and Seattle's community colleges. Outdoor Activities: Hiking, cross-country skiing, snowshoeing, sailing, gardening. More: Kate loves to eat and gather friends and family around her table for delicious homemade meals. She's an avid traveler, museum goer, reader, and walker. Next on her to-go list? Bolivia, Croatia, and yet another trip to Alaska. She and her husband live in Seattle's Ballard neighborhood with their very spoiled German shepherd, Ranger. Laura manages ten to twelve titles through production each year, from final draft to printer-ready files, including how-to and where-to books under the Mountaineers Books imprint, sustainable lifestyle titles under the Skipstone imprint, and conservation titles under the Braided River imprint. Her most notable project to date was the 9th edition of Mountaineering: The Freedom of the Hills, with about 30 volunteer contributors. Background: Raised in small towns across the South, Laura earned a B.A. in English from Newberry College and an M.A. in English literature from Georgia State University. After graduating from NYU’s Summer Publishing Institute, she worked at Facts On File in New York City and then Wilderness Press in Berkeley. She also ran a robust freelance editing business working with nonprofits and publishers, particularly BSR and WP, for several years. Outdoor Activities: Hiking, skiing, biking as transportation, climbing, gardening, trail running, backpacking, scrambling, tidepooling, paddling, and whatever else sparks her interest. More: Laura loves to cook, knit, sew, practice yoga, lift weights, soak in the stars from her sleeping bag, forage, read a well-crafted story, catch up with her family in the South, and spend time with her sweetie and his children. She feels lucky to have the chance to grow roots in the stunning Pacific Northwest. Joleen is our warehouse lead. Our warehouse is filled with thousands upon thousands upon thousands upon thousands of books, and Joleen somehow manages to keep everything running smoothly and under control. Background: Joleen came to Mountaineers Books experienced in distribution services. She is also looking for suggestions for songs about "Joleen" -- she already knows the Dolly Parton one -- so if you have any suggestions, let her know! Emily White has over twelve years of experience in professional book publishing, writing, and media relations. When she’s not out playing in the water or in the mountains, in her spare time Emily freelances for Adventure Journal and serves on the board of Slow Food Seattle. She has a bad habit of packing way too many books on backcountry trips. Reba was born in Oklahoma, just like her namesake and Country music legend Ms. Reba McEntire. 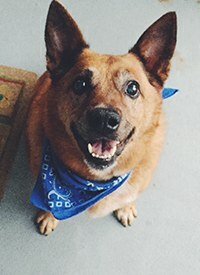 Reba enjoys walks, hikes, and eating all the veggie scraps she can get her paws on.